L.E. McCullough – Learn to Play Irish Tinwhistle download. Perhaps the most readily identifiable sound of traditional Irish music is the sound of the Tin or Penny Whistle. 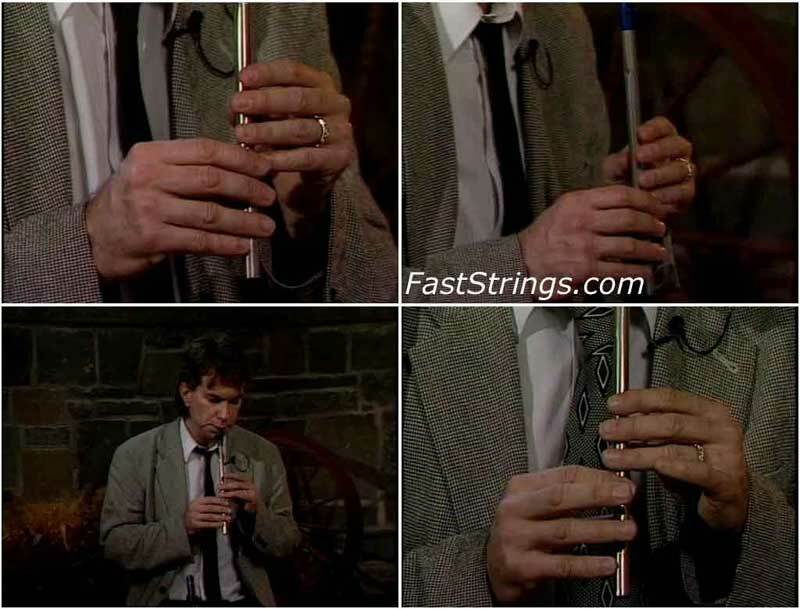 Once mastered, this simple, inexpensive instrument can be played by a soloist or as an important element in a multi-instrument Irish music session. Expert player and instructor L.E. McCullough teaches all the basic techniques, along with several tunes to get beginners off to a great start. No prior experience of this or any other instrument is required making this an ideal method for elementary players. If you pick up an Irish Tin Whistle, you will soon be playing. however, if you want to move on past “Mary Had a Little Lamb” you will likely need some instruction. This is a good DVD for just that purpose, especially learning some of the little “tricks” and ‘insider’ information on how to play some great Irish Music. The camera work is fine, with nice close ups. Although this DVD starts out for the person just beginning the Irish Tin Whistle, you will need to, as time progresses, pause the DVD and go and practice, and then return to the next “lesson”. The DVD does not break down and pause in a lesson form, so you will have to go at your own pace, and stop it when you need to break away, take a week and practice.